There is a hidden feature I use for ships that you may find useful. If you use the UFO mode, currently, do not use the automatic go to feature as you will break ship orientation until you relaunch the program. I also recommend rebinding stop time to "x" and sync velocity to spacebar. This is as close to arcade style as you will probably get. No, never. Not unless someone uses the engine as a basis for a less-realistic game. 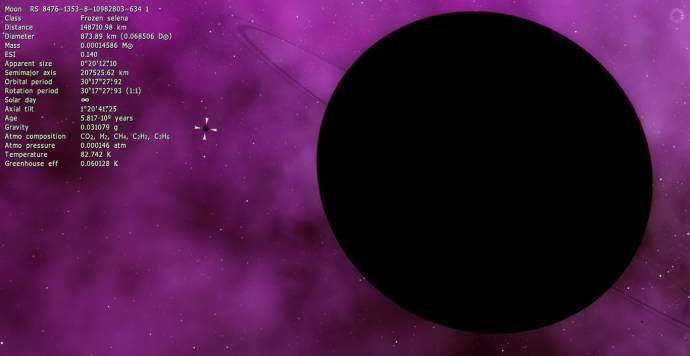 Space Engine aims to simulate reality. The best you might hope for in terms of easier ship controls is the "flight assist" mode that is currently available (though, as with all elements of the Autopilot, it needs further work). When are solar flares going to be implemented? Is it possible? This is not the thread to ask things like that. Anyway, regarding such features, read the website FAQ. There will be more advanced autopilot features, but there will never be an "arcade mode", (unless it's implemented as a cheat code in the far future). The whole purpose of SpaceEngine is realism. Anyway, flying spacecraft isn't all that hard, you just need to learn the principles of spaceflight. What is this new feature you may ask? 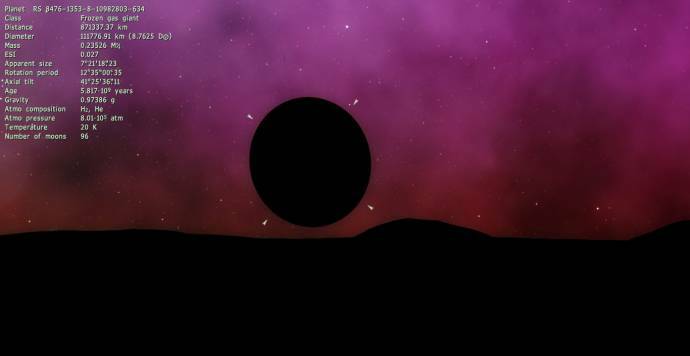 This is planemo (rogue planet). Just a black ball, nothing to see there, if you don't have bright background or don't use ambient lighting. The planetary system without a star is classified as "planemo" (oops localizations must be updated once again...). 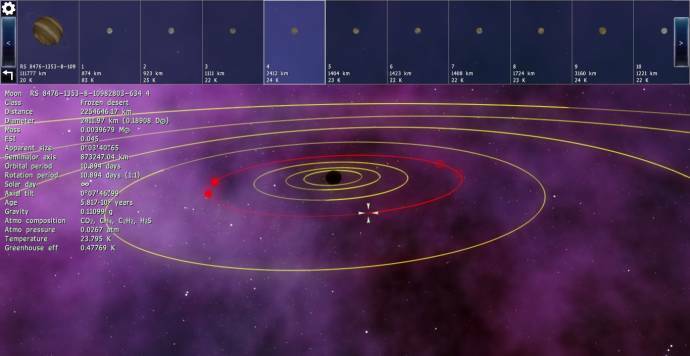 The planet itself and its moons are called as usual, planet/dwarf planet/moon/dwarf moon. 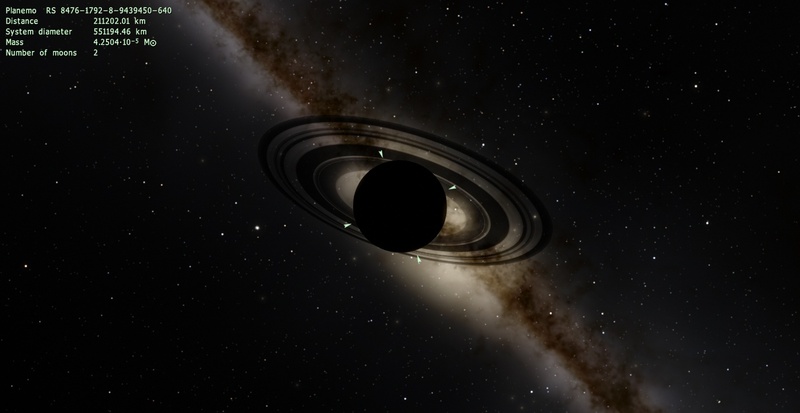 ... And no, SpaceEngine does not support lighting from nebula, nearest stars or other interstellar object. Solar system browser and Wiki renders previews with some ambient lighting, to be able to see at least something. 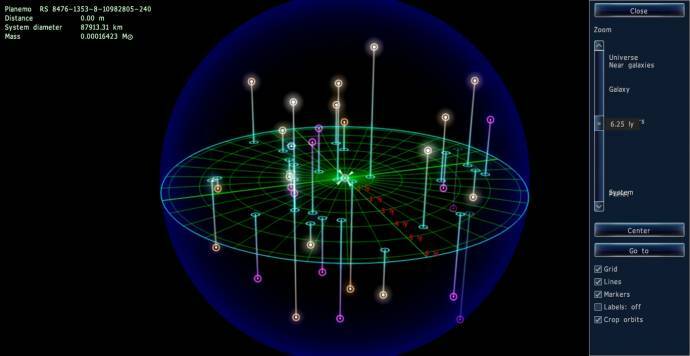 The same is used in a black hole systems with no accretion disk and other light emitting bodies. The Map mode shows planemo systems as a pink dots (yeah there are a lot of them, planemos are thought to be as much abundant as stars). 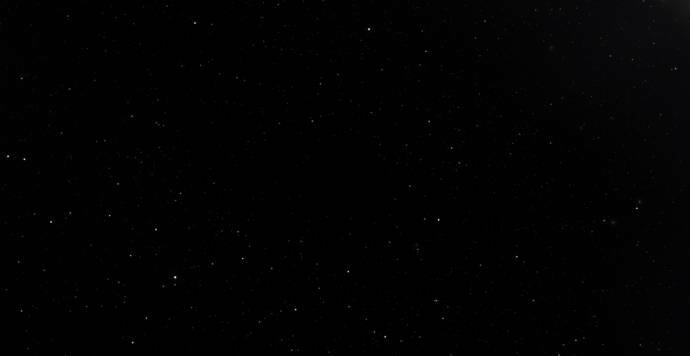 As long as planemo have zero luminosity, it could be visible only at highest zoom level (like black hole systems). 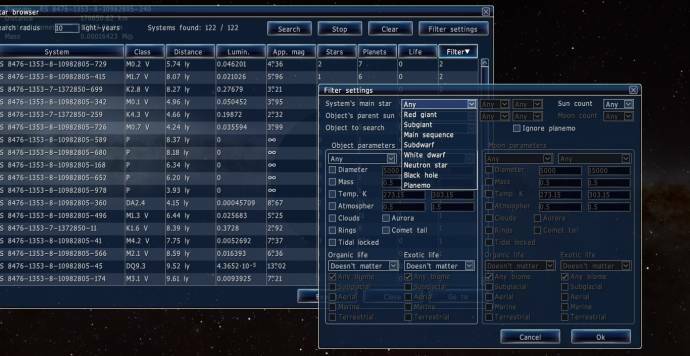 The star browser is also updated, it now have options to search planemo, or search in normal star system, ignoring planemo while building a star list (otherwise the list will be spammed with planemo). "P" is a new stellar class representing planemo, it is used in SE scripts to add them. Now you see what adding some small feature is a huge work. All engine systems affected by that feature must be updated. In this case, they are: Solar system browser, Star browser, Map mode, scripts. And a star classification system. 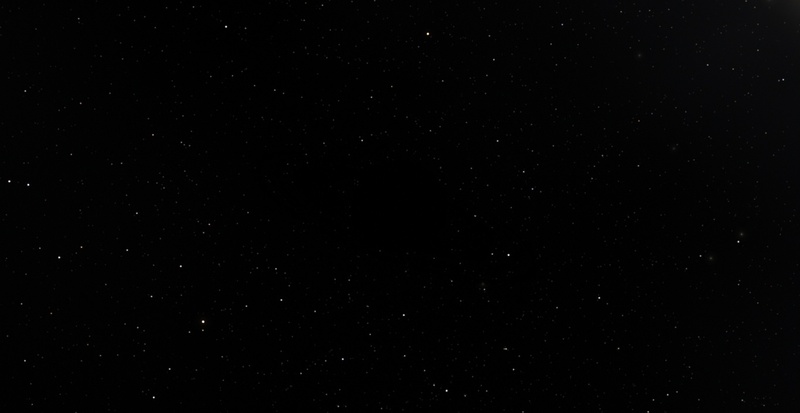 This is not visible to user, but it was a hard task: I completely change the way SE handle star class in the code (the majority of work was done a months ago though, then I added Y brown dwarfs). How common will these "Planemos" be? Will there be more planemos than stars? Or will they be a rare occurrence? This is a total revolution! A lot of people have asked it in the past 1/2 years, and I seriously didn't expected it to be implemented in the next release. Yes! My favorite object will soon be added to the game. so they wont be full black. is it true? This is so nice! You know what we need now?... Floodlights on shuttles! That aside, this release is shaping up to be one of the best ones. We got so many new features, awesome job Space Engineer! Keep up the good work, Vova! EDIT: Will planemos be able to have subglacial life?